Sunshine Doray’s debut album can leave you giggling at home about subject matter you would never dare laugh about in public. 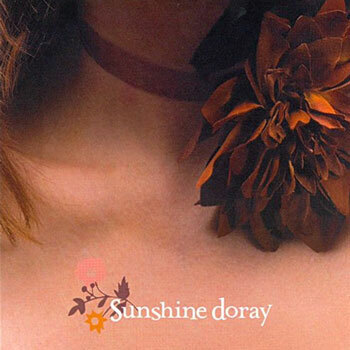 The eponymous record by Sunshine Doray can just as easily turn on the waterworks. And, depending on your penchant for tongue-in-cheek metaphors and true-to-life-fables, you could do both within the same song. Singer and songwriter Kate Feeny has laid out her unconventional life stories into unconventional pop songs that echo a bygone era. With drummer Deanne Iovan (The Come Ons), Sunshine Doray has made an album that is impossible to categorize. Can you think of a genre that describes a record that sounds like cabaret, jazz, noir polkas, infectious and classic piano pop songs? At the start, Sunshine Doray, the name of a minor character from Harold and Maude, originally represented a sort of delusional alter ego for Feeny. At least we hope it was an alter ego. Originally to be released last fall, the birth of her son put Feeny and Sunshine Doray on hold until the summer of ‘08. Sunshine Doray’s second album will unquestionably showcase a different part of the songwriter’s life. While Feeny occasionally slips back into “character,” as the years have gone on, her music becomes a more personal palette from which to draw. With Sunshine Doray, Feeny’s intimate tunes come from both a personally haunted and gratified study of self exploration. “Introspection and self analysis are actually a luxury,” says Feeny, now a mother of two. “Often painful, surely, but something one can indulge in only if one has some free time and space to do so.” Imagine if you put Regina Spektor in a time machine, sent her to a bittersweet and beautiful universe in which she and a young Harry Nilsson listened to a lot of Tom Waits and wrote songs to play together on piano in a Polish bar. Their songs would sound like fictional stories and about storybook characters; but in truth are built on the songwriters’ real experiences. Places where a cabaret piano romp mixes with a torch song for a lost lover and a song about people dying makes you laugh. They are eccentric without being “quirky.” The sound of the past messed up in today’s world of lovers, lepers and lonely old people. Recorded and produced by David Feeny (Blanche, American Mars), Sunshine Doray’s first album was a long time coming (after being on hold for too long). Now that it’s here, no matter how many times you hear it, Sunshine Doray leaves you with a myriad of emotions and stories to play with. Go ahead and laugh while you dance to “Lonely Old People Polka,” even though its lyrics are ominous. Find a needed reassurance that it’s okay to feel alone in “How Long.” Get drunk and dance or cry, whichever you feel. “I want people to feel the cool blue dawn of truth dawning on them. I want them to feel the hair on their arms -or backs- raising,” she modestly mocks. “I want them to think, ‘I must purchase that recording immediately.’ Or think “Hmm. Good song.’ Probably that most of all.” Humor is never lost in the melancholy. Step back and rummage around in the realm of Sunshine Doray.